How Bad Will Australia's Housing Slowdown Actually Get? 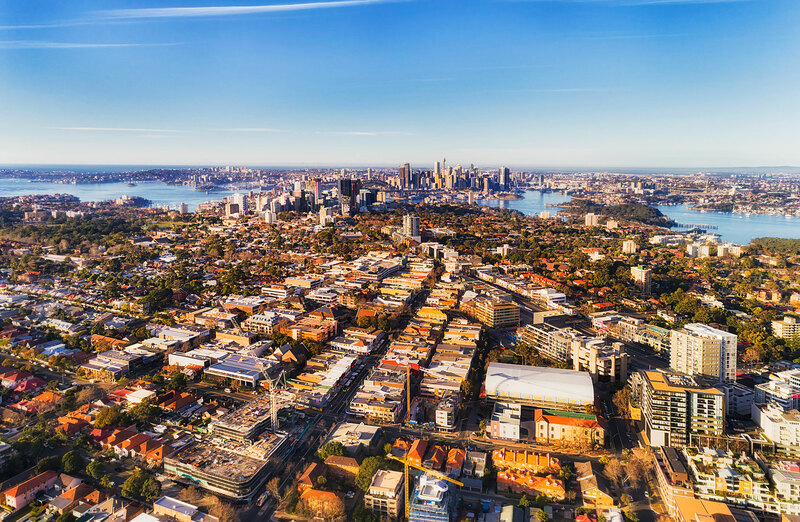 NAB anticipates house prices to decline further over the next year or so, with peak-to-trough declines of around 15 per cent in Melbourne and Sydney, but adds that falls in the harbour city could potentially be slightly higher. 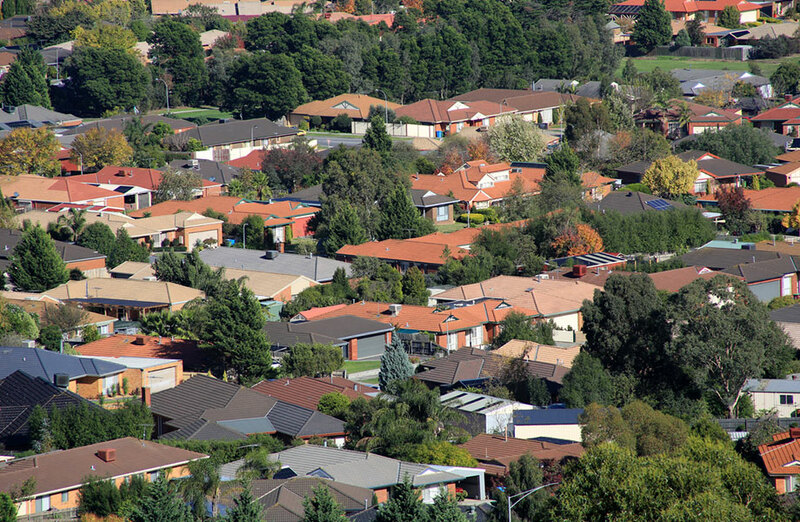 NAB chief economist Alan Oster said property professionals are now anticipating much sharper house price falls in NSW and Victoria over the next one to two years, with prices for the remainder of the country expected to remain flat. “We expect the declines to remain orderly and see price movements on the East coast to date as a healthy correction to the prior large run-up in prices,” Oster said. 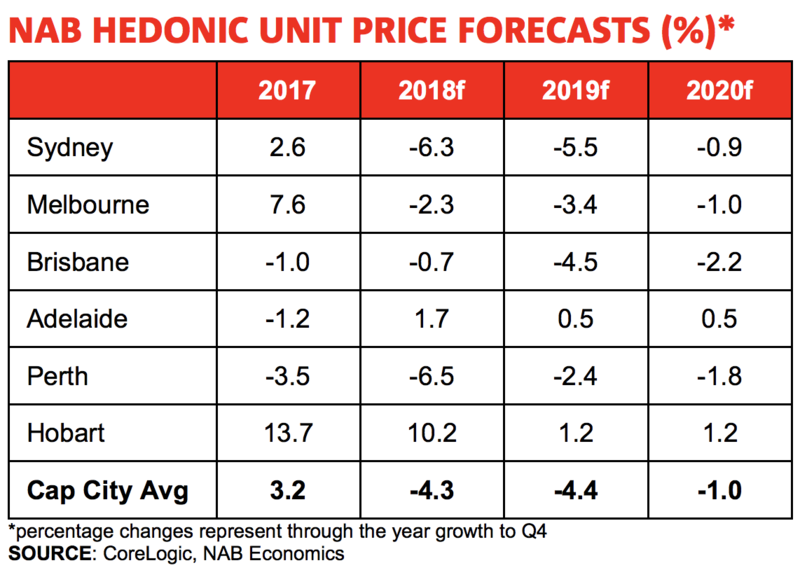 NAB's residential property index dropped 11 points to -20 in December, down from -9, reflecting a weaker outlook from property professionals for the final quarter of 2018. 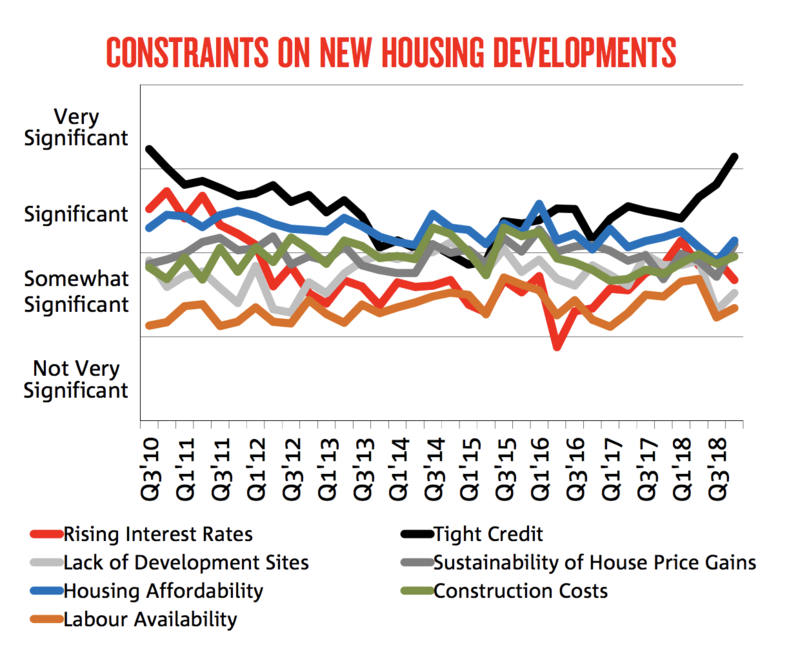 NAB Residential Property Index fell to a new survey low in the final quarter of 2018. In his latest market update, AMP chief economist Shane Oliver said he expects the nation's home prices were likely to fall another five to 10 per cent this year driven by a further 15 per cent or so drop in the nation’s two largest capital cities, Sydney and Melbourne. Oliver attributes tight credit, rising supply, and falling price expectations as the key contributors. Oliver also said he expects the RBA to cut the official cash rate to one per cent this year. To put these figures in perspective, Oliver says the fall in property prices comes after a major property boom. “Most recently over the five years to 2017 that in particular saw Sydney prices rise 72 per cent and Melbourne prices gain 56 per cent,” Oliver said. “Strong population growth is still driving strong underlying demand for housing. A common property myth is that prices only ever go up and never fall, Oliver added. Construction costs were revealed as an important constraint, particularly in Queensland, according to NAB's report. While the level of concern around lack of development sites has also increased, this is viewed as “somewhat significant” in all states except in Queensland where it's viewed as “significant”. Concerns about the availability of labour also grew in the final quarter of 2018, but property professionals in most states believe it's still only “somewhat” significant. NSW was the exception, with property professionals saying it was a “significant constraint” for new housing markets. Overall, NAB says it expects further price declines in 2019, before levelling out in 2020. “We expect the weakness to be driven by ongoing declines in Sydney and Melbourne, where prices saw the largest run-ups in the five years to 2017,” the report said. 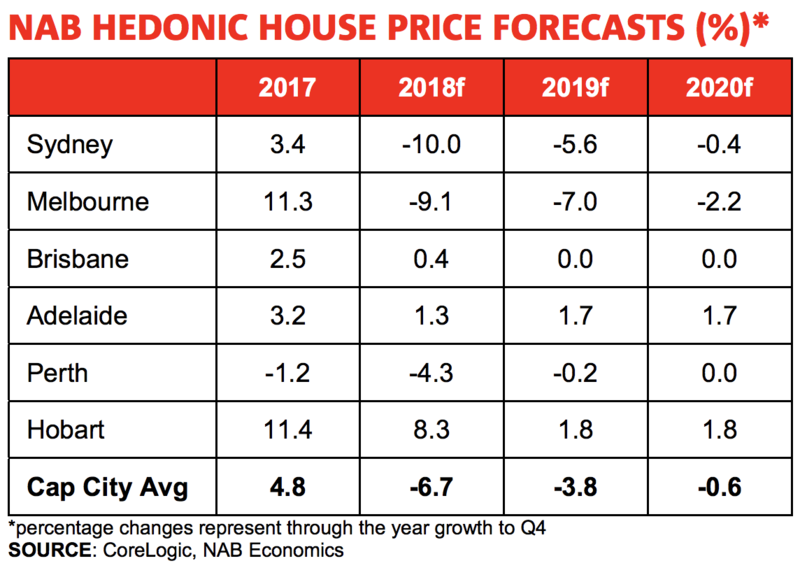 NAB said Sydney house prices are forecast to fall 5.6 per cent this year, while Melbourne house prices would fall of 7 per cent and Brisbane would remain flat. While unit prices in Sydney are anticipated to take the biggest fall this year at 5.5 per cent followed by Brisbane at 4.5 per cent and Melbourne at 3.4 per cent.